To remove PDF file restrictions, PDF Unlocker application is rendered including copying, Printing, Editing and Extracting. Without installing Adobe Acrobat application in system, the application helps to remove PDF restrictions. When PDF files are protected with owner level security it prompts message to open such particular PDF file on computer screen of users. The tool help to remove owner restriction from PDF file that will ultimately result in the elimination of the PDF file message asking for password. The PDF Unlocker Tool helps to remove PDF file restrictions like User and Owner level.Make users edit, print, copy and extract PDF file data without facing any error messages. Without damaging the original integrity of PDF file all restrictions are removed. Using Business and Enterprise license of tool, users can remove restrictions from bulk PDF files in one attempt. This helps user to add unlimited PDF file with the tool and remove all restrictions from them and enable editing in PDF file. When PDF files are loaded with tool to remove security, users can take a preview of the permissions before and after column of the tool. This gives an idea about which restrictions are allotted to PDF files. The PDF Unlocker Tool is developed with the latest techniques that do not harm a single property of PDF file during security removal process. Owner level password can be removed from the PDF file. 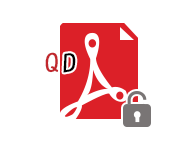 Once the User and Owner level security are removed from PDF files, users can save them at the location of their personal choice in the system. Additionally, users can also make a new folder from software panel to save PDF files needful. PDF files are created in Adobe Acrobat application and are considered as most secured way of sharing data over internet. Being so portable files these files are provided with options to secure data, users can protect PDF files with the Owner and User level security to safeguard its data from being misused. User level security restricts users to print, copy, edit, and extract PDF file data and Owner level security restrict users to open PDF file. In any case, if the PDF file is secured, it restricts users to perform several functions even, restricted to open PDF contents. Problems Caused Due To PDF Restrictions! Sometimes, these restrictions become a headache for users when they forgot or lost key for removing PDF file restrictions or in the absence of owner of PDF file. Imagine a situation when you have received a PDF file from machine of ex-employee of your organization which is protected by Owner level security. It is not possible for you to contact the person as s/he has shifted abroad, in such case to remove PDF file restriction you are only left to hire a professional technique. How To Remove PDF File Restrictions? One manual way to unlock secured adobe PDF to copy text is an HTML view of Gmail application. If you want to view contents of protected PDF file, then send a particular PDF file to Gmail inbox. Open the email message and view its contents in the HTML view of Gmail. This will help to take a preview of PDF file contents, but fails when the size of the PDF file is large. If you have a PDF file of larger size than you are required to adopt some professional techniques to remove PDF file restrictions. The PDF Unlocker Tool is most demanded and reliable solution amongst IT users, which renders the facility of removing PDF file restrictions. The PDF password cracker tool is advance solution that works without installing Adobe Acrobat Application in the system and remove PDF file restrictions. Additionally, the tool also helps to remove restriction from PDF file in bulk using Business and Enterprise licensed version of the tool. Free version tool remove restrictions from PDF files, but a watermark will be added while saving documents.. Step 3: Now you can see permission before and after of all selected files. Finally, click on the Unlock button to eliminate all the limitations from documents. Step 4: Within a few seconds you will get a confirmation message that "file has been unlocked successfully". Click on OK button. Will the software remove the restriction to enable editing in PDF file? Yes, The tool will remove the limitation to copy, edit, print, and extract data from the locked PDF file. How many PDF files can be unlocked at a time? While using the demo version or personal license of the tool, only one PDF file can be unlocked at a time. However, if the business or enterprise license is purchased, then batch file unlocking is supported by the tool. My PDF file is user and owner password protected. Will the tool help? Yes, the software will unlock Adobe PDF files that is protected with both user and owner level password. Nevertheless, if the user password is set to the PDF, the tool will prompt for the secure key to unlock the file. The resultant PDF will be free from both types of security passwords. I have Windows 8.1 on my machine. Will the software work on it? PDF Unlocker Tool is a Windows based utility and it unlocks Adobe documents with password protection of all versions of Win OS which includes Win 8.1. To remove PDF restrictions, there is no better tool than this PDF Unlocker tool. I removed printing limitation from the PDF file and the data in it is still the same. Kudos for such a wonderful development that is easy to use and in budget too. This PDF Unlocker Tool allow printing PDF files very efficiently. Probably the finest technology I have used and at such a reasonable price. I own business license of the tool and its batch unlocking works perfectly well. We wanted to remove the edit permission from a project that was saved into PDF file. We did not know the password because of absence of the creator. Thanks to this PDF Unlocker Tool that removed editing rights from the PDF file. Just few clicks and I was done with the PDF file owner password unlocking. The solution had works smoothly on Windows 7 and its unlocking procedure is free from any harm to data integrity.